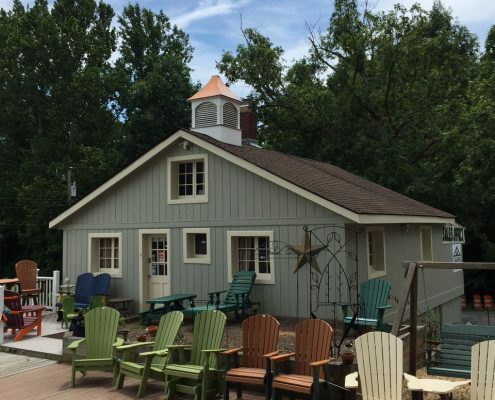 Alger Sheds has a retail location in Manassas, Virginia. Come and browse our selection. Check out the high quality of our sheds. We have on display multiple styles of sheds, gazebos, pavilions, pergolas, steel buildings and outdoor furniture. We have a large selection of fencing displays and TREX deck and rail styles as well. Our store hours are 10:00- 5:00 Monday through Saturday. Pick up one of our brochures and samples of the products we offer. We offer free in home estimates! One of our experienced salesmen will come to your home and evaluate your site. They will provide you with a brochure, will go through all of your options to help you design the building that best fits your needs, and give you a written estimate. Choose your building style and color. Choose your door and window location. 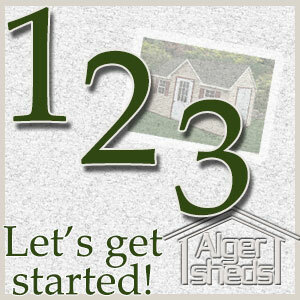 Now your shed is ready to be built by our experienced craftsmen.